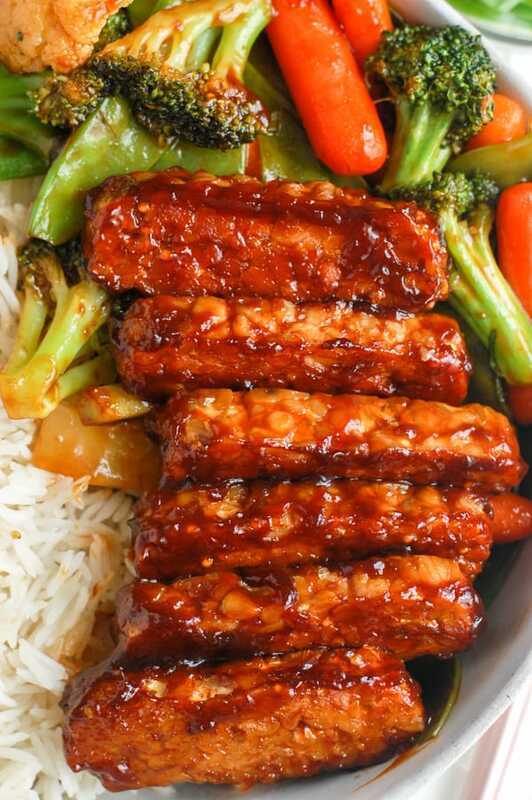 Ah, tempeh, my most favorite form of vegetarian protein. And easily the most asked question every time I post a picture of my grocery cart when there is a block of the soy-based protein in it. Everyone always is asking me ‘how do you even cook it?’ and so I’ve started saving a little draft in my phone that has all of the ways that I prepare it so I can quickly send it over when someone inevitably asks. In a few recent blog posts, I’ve shared my favorite ways for making preparing tempeh, in addition to a blog post all about what even is tempeh? 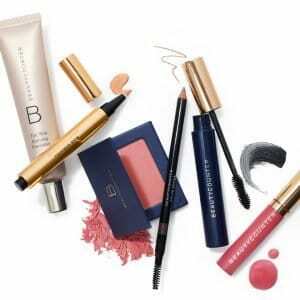 So be sure to check those out to make sure you are well versed in the stuff! 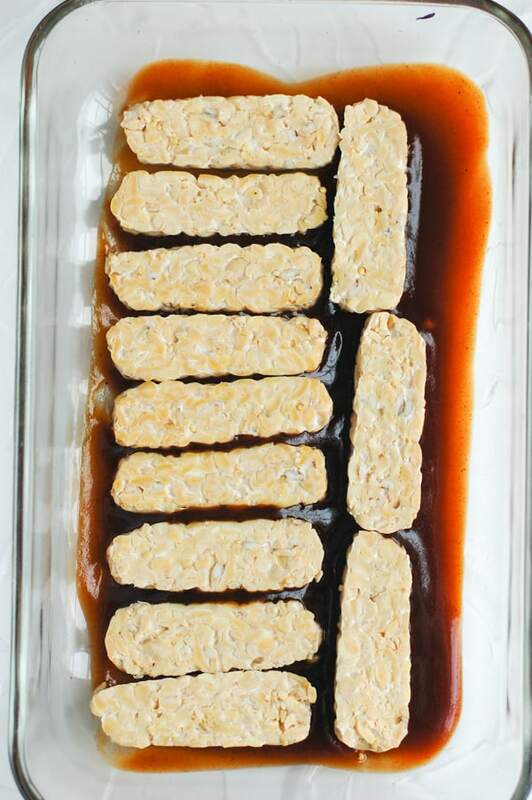 Tempeh is a fermented soy product that is formed into a loaf. It is nuttier and heartier than regular tofu, therefore making the texture better (in my opinion) and it is essentially low in flavor. But the low in flavor is amazing, because it actually takes on whatever it is being marinaded or cooked in, which basically makes it like your own blank canvas. One of my favorite ways to act on that blank canvas and to give tempeh a lot of flavor is to cook it BBQ style. 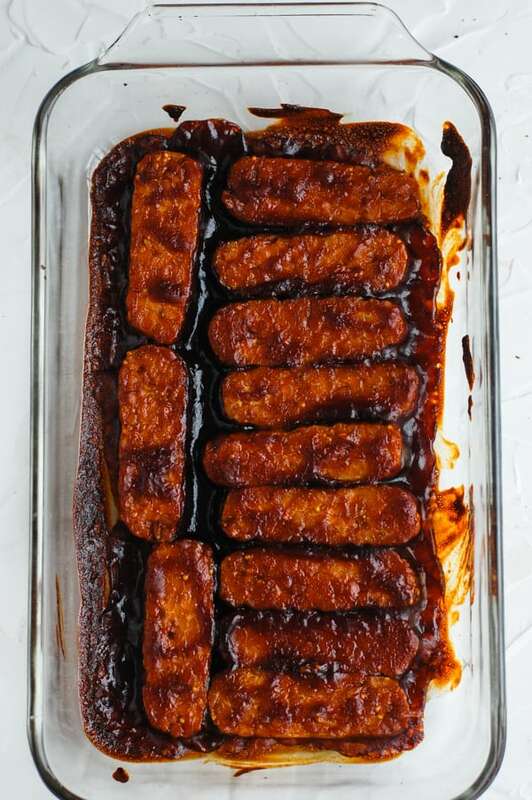 How do you make BBQ baked tempeh? Easy! First, I highly recommend steaming the tempeh. You can read more about that here, but it definitely jump starts the process of cooking it and takes out any little tang. 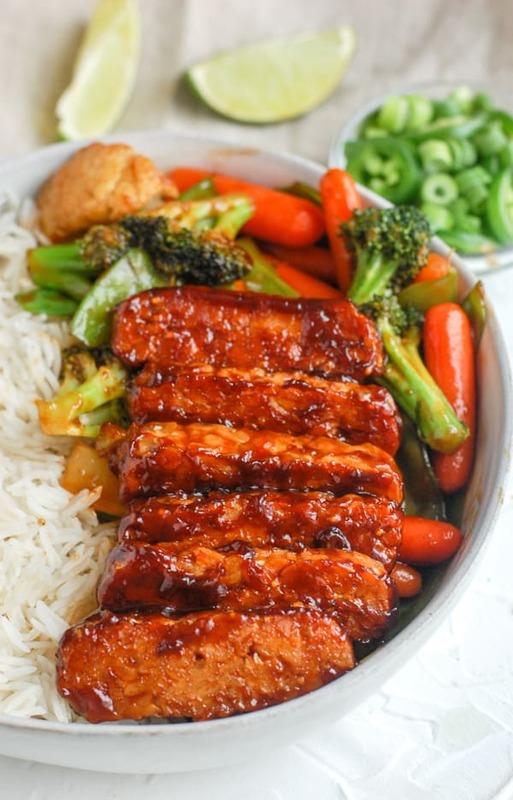 Then you combine all of the ingredients for the homemade bbq sauce into a bowl, spread it into the bottom of a baking dish, slice your tempeh and place on top, and then cover with more bbq sauce. It’s as easy as throwing it in the oven, and then adding to whatever dish you would typically add bbq chicken to! Another easy part of this is that you can use any type of bbq sauce that you want! It doesn’t have to be homemade or any particular brand. 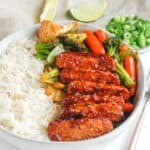 How do you serve BBQ tempeh? I served mine over a bed of jasmine rice and sauteed stir fry veggies. I’ll never say no to a good bbq stir fry, so I thought by adding them tempeh to this bowl that it would be delicious. You can also serve it on rolls and make a bbq tempeh sandwich, or serve it up along side some grilled corn on the cob, fresh watermelon, and eat it picnic style outside. 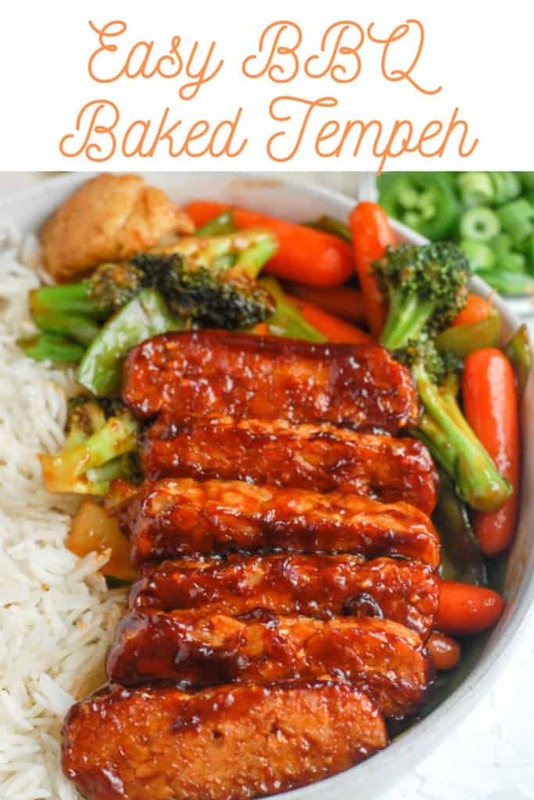 There are so many different options for this tempeh, I know you’re going to love it!